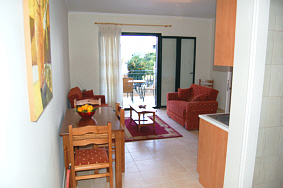 Gianno’s Apartments are located in the residential side street of the picturesque fishing village of Agia Efimia. Guests can walk less then 100m to the sea that has captivating views of the surrounding mountains known as Kalonoros and Agia Dinati and the beautiful island called Ithaki. The sun set during the summer months is a sight not to be missed. The harbour and quay side of Agia Efimia, attracts flotillas and many larger vessels that moor up during the summer months. In addition Agia Efimia boasts a vast array of restaurants and tavernas, coffee shops, cafes and snack bars, as well as bakeries, supermarkets and a post office. 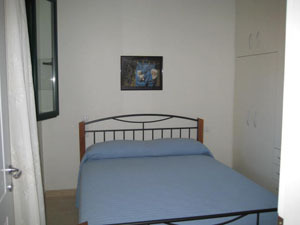 Gianno’s Apartments are newly constructed rooms in a modern two-storey building. 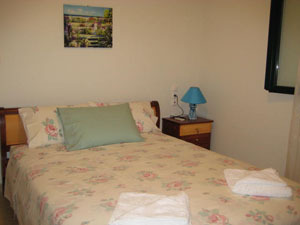 There are three apartments – one x two-bedroom apartment and two x one-bedroom apartments. All these rooms have the option of fitting in extra beds. 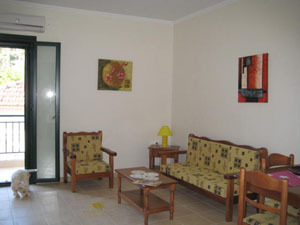 Each apartment benefits from a spacious, well equipped, and comfortable open plan kitchen area and living room. 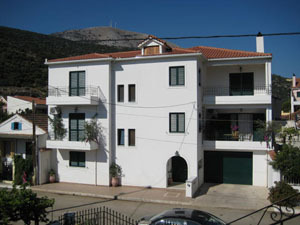 In addition, there are private bathrooms with round the clock hot water supply, air conditioning, television and its own private balcony that affords views over the village and towards the mountains. 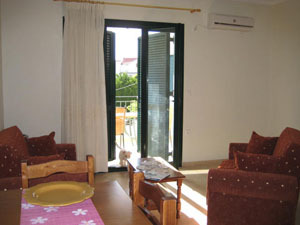 On the ground floor of Gianno’s Apartments there is a laundry room with washing machine, iron and ironing board etc. 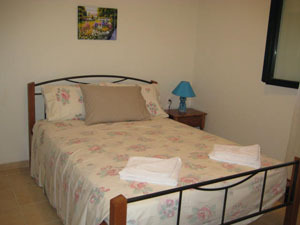 and this is available exclusively for guests staying in the property. Gianno’s Apartments is a friendly family run business, where service and unparalleled hospitality along with reasonable rates are as important to us as they are to you. 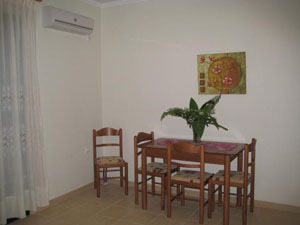 Our goal is to make you feel at home, provide you with a peaceful and pleasant environment, one that you will remember every time you think of Kefalonia.